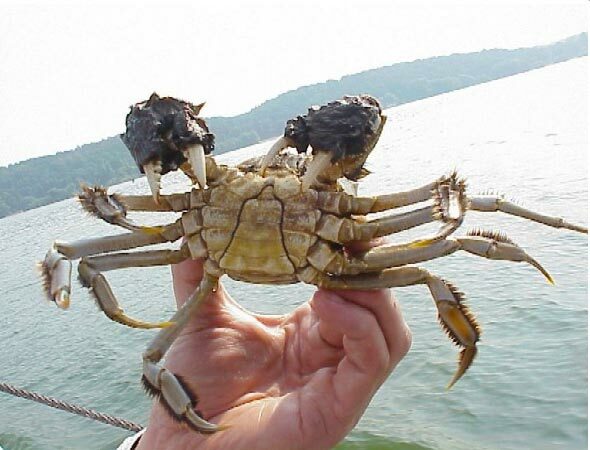 ANN ARBOR—The Chinese mitten crab found in regions of Asia have caused extinction of local species in Europe and North America. Panama disease wiped out banana plantations in Central and South America, and prickly pear devastated grassland in Africa, leading to malnourished cattle and people losing their livelihoods. These are examples of invasions from alien plants, animals and pathogens that threaten the economies and livelihoods of residents around the world especially in the poorest nations, according to a new study by an international research team including a University of Michigan biologist. A study published Aug.23 in Nature Communications points that one-sixth of the global land surface is highly vulnerable to invasion, including substantial areas in developing countries and biodiversity hotspots. “In the coming years, the negative impacts associated with the introduction of harmful species will likely be exacerbated by other global stressors, such as climate change, landscape degradation and pollution,” said study co-author Ines Ibañez, associate professor at the U-M School of Natural Resources and Environment. This is often seen as a First World problem. The new study shows that the invasions are also threatening the last remaining biodiversity strongholds in the world’s most fragile economies. Increasing globalization—especially imports of pets and plants—has caused many of the biological invasions in the past. In the future, air travel will be responsible for biological invasions of Africa and Asia. This will be exacerbated by climate change and intensifying agriculture, which make it easier for invasive species to become established, according to the study authors. Rich nations are accustomed to the nuisance of invasive alien species and are increasingly taking protective action. The study outlines how poorer economies are crucially reliant on international trade and have little power to regulate imports, so the introduction of highly dangerous species continues unchecked. 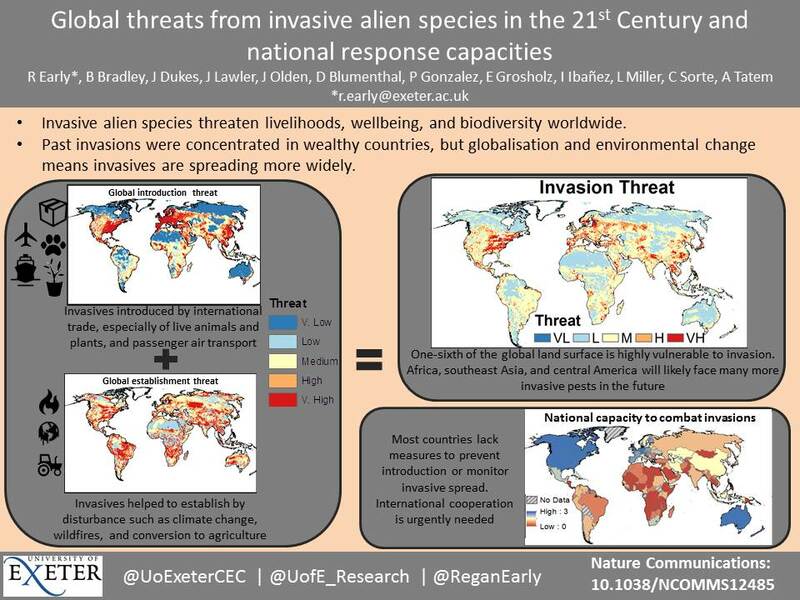 The research team evaluated the global 21st century threat from invasive species and found that many developing nations do not have the resources or plans needed to respond properly. The researchers hope their findings will lead governments and nongovernmental organizations to improve schemes to warn communities of the threats of biological invasion and to provide solutions. The researchers collected information about trade—particularly plants, pets and air travel—and compared it to data about climate change, wildlife and agriculture to model where invasions are likely to be identified. Additional co-authors are from the University of Massachusetts, Amherst; Purdue University; University of Washington; U.S. Department of Agriculture; U.S. National Park Service; University of California, Berkeley; University of California, Davis; Stanford University; University of California, Irvine; University of Southampton; U.S. National Institutes of Health; and Flowminder Foundation. The analysis was conducted as part of the Climate Change & Invasive Species Working Group (supported by the National Center for Ecological Analysis and Synthesis, which is funded by the National Science Foundation); University of California, Santa Barbara; and state of California. The work was supported by the NERC Great Western Four+ Doctoral Training Partnership.